Good job, Orioles! – Pamela Wood. Excellent use of the apostrophe by the Baltimore Orioles. Earlier this summer, I chastised the Baltimore Orioles for terrible use of the apostrophe. 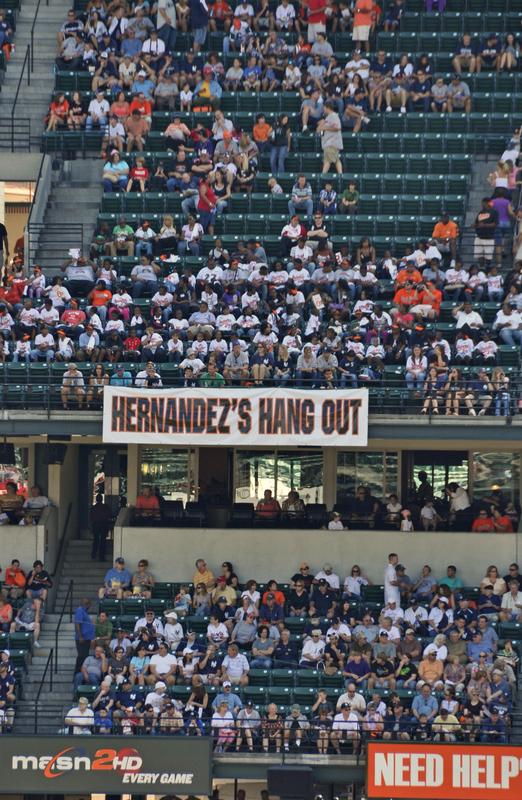 For a sign denoting a special section, someone for the Orioles wrote “Matusz’ Maniacs,” which is nowhere even close to being grammatically correct. Speaking of the Orioles, be sure to stop by the Welcome to Baltimore, Hon website on Monday, where I’ll be the featured photographer for the Daily Camden feature. This is a cool, community art project, in which a different photographer makes a picture at Oriole Park at Camden Yards each day this summer. Well, if indeed it is hang out—-they screwed up the apostrophe again!